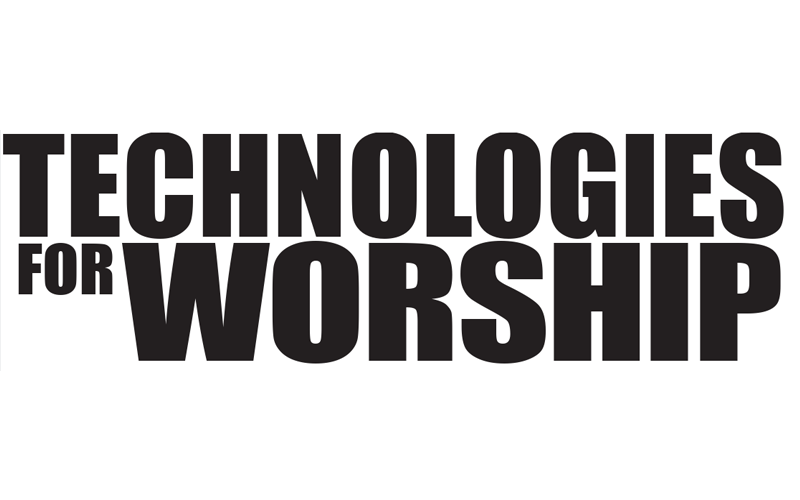 You finally convinced the powers-that-be that you need a projector to revitalize worship services and connect with your congregation in a way that goes beyond sermons and speeches. You made a strong case and procured the funds from an ever-shrinking budget. The hard part is over, right? In reality your work is just beginning, because now you have to wisely invest in a projector that will meet a wide range of present and future needs for your congregation. Purchasing a projector can be a daunting task if you’re a newcomer to the market, and advice from the experts might help you make the best decision for your own unique requirements. One of the first challenges you will encounter when shopping for a projector is understanding the terms used by manufacturers and retailers to describe a projector’s features. 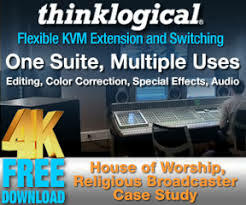 Whether you’ll be using your equipment for projecting hymn lyrics during mass or showing movies during a youth ministry retreat, knowledge of a few key features will help you assess your church’s needs and become a more informed consumer. Brightness: The starting point in choosing a projector is typically brightness, which is measured by a standard called ANSI lumens. The larger the number of lumens (from the Latin word for light), the brighter the projected image should appear. To put things in perspective, consider that a wax candle generates 13 lumens, while a 100-watt light bulb generates 1,200 lumens. Projectors currently on the market can deliver between 800 lumens – good enough for the average size meeting room – all the way up to 17,500 lumens, which is bright enough to deliver clear, sharp images in a very large auditorium or house of worship. Higher brightness also means being able to project a larger picture, or the ability to use the projector in a well-lit environment – or a combination of the two. Projectors with a lower brightness are perfectly adequate for lights-off presentations. However, if you plan to use your projector in rooms where ambient light is difficult to control – such as a church with stained glass windows – you should consider a projector with a higher lumens rating. Native Resolution: Another consideration is ‘native’ resolution, which defines the number of pixels – the tiny dots which, when seen together, create the projected picture. Typically, the higher the resolution, the better the quality of the projected image. Today’s most common resolutions are SVGA (800 x 600 pixels) and XGA (1,024 x 768 pixels). However, most projectors can ‘scale’ an image electronically. For example, many projectors with SVGA resolution can electronically adjust themselves to project a picture that was originally at XGA resolution. The resulting image isn’t as good, but there is a cost savings. Contrast Ratio: Many people are confused by the term ‘contrast ratio,’ which defines the range between the blackest black a projector can deliver and the whitest white. A large contrast ratio – say 1000:1 or better – means that images appear much sharper and include a level of detail that makes the image more lifelike. If your application includes video or still photographs, then contrast ratio is one of the key contributors to lifelike, realistic images. Brightness Uniformity: You should also be on the lookout for other important contributors to image quality, such as ‘brightness uniformity’. Measured as a percentage, it tells you whether the picture will be evenly illuminated at all points on the screen, or whether it will appear a little darker in certain areas such as the corners. The higher the brightness uniformity percentage, the better. Weight: Presentation projectors have become smaller than ever, with some as light as two pounds. If you’ll be toting your projector from one location to another on a regular basis, keep in mind that size also affects portability. Projectors on the market today can be as small as 120 cubic inches in total volume. To calculate the total volume of a projector, simply multiply its length x width x height. If your projector will remain in a fixed location, consider an installable model instead of tabletop. Noise Rating: Don’t underestimate the impact of projector noise! Projectors use high-powered lamps that need plenty of cooling, and the brighter the projector, the more cooling it requires – and thus, typically, the louder the noise from the fan. Scientists measure the levels of different sounds with a unit called the A-weighted decibel (dBA). It is important to note that the decibel scale is logarithmic so every 3 dBA is a doubling of the noise level. To put projector noise into perspective, a whisper is about 20 dBA, a refrigerator about 50 dBa, an electric toothbrush about 60 dBa, and a washing machine or air conditioner about 75 dBA. The best meeting room projectors are rated at less than 30 dBA. 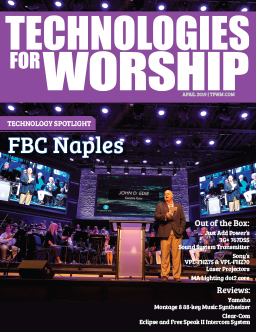 After you’ve determined your church’s needs for features like brightness, resolution and weight, there is yet another factor to consider: the underlying technology that actually creates the on-screen image of the projected picture. Not all projection technologies are created equal, so you’ll want to learn about the two that dominate the projection market today – LCD technology and DLP technology. LCD, or Liquid Crystal Display, has deep roots in the projector industry and is the best known of the competing technologies. An LCD-based projector consists of three glass panels, one for each of the three primary colors needed to create the on-screen image: red, green and blue. Each of these panels contains liquid crystal molecules that change their orientation in response to small amounts of electricity. This motion, similar to window shutters opening and closing, modulates the amount of light passing through the panel, pixel by pixel. When the crystals are at rest, no light is able to shine through; as more current is applied, the crystals allow more light to shine through. When the liquid crystal “shutters” in the three panels are programmed to represent the red, green and blue ingredients of an image, they are optically combined and projected through a lens to form a color picture on the screen. DLP technology, which is manufactured exclusively by Texas Instruments, came to market in 1996 and is rapidly gaining market share. Unlike LCD technology, which is transmissive, meaning that light shines through it, mirror-based DLP technology is reflective, which means that light reflects from it. DLP technology integrates a projection lamp and an electronic video signal from a source such as a computer or VCR, and the processed light produces an all-digital picture. The light is processed by thousands of microscopic mirrors, each representing one pixel in a projected image. The mirrors are hinged so they can be switched on and off rapidly. At speeds greater than 1,000 times per second, the mirrors are electronically tilted to reflect light through a projection lens and onto a screen. The result is a seamless, all-digital image that comes closer than any other technology to producing an exact mirror image of an input video or graphic signal. So which technology is right for you? There are a number of factors that might help you decide. For starters, there are more projectors on the market that feature LCD technology, so the choice is wider and they generally cost a bit less. Picture quality is another important factor. LCD technology delivers highly saturated colors, while DLP technology is known to deliver more natural colors. Secondly, most people acknowledge that LCD technology works best with graphics, but not as well with video. If you see your congregation using your projector only for PowerPoint slides, for example, then LCD technology – especially with its highly saturated colors – will probably be a good choice. But if you see yourself potentially using the projector for video and photographs, DLP technology may be the better choice. DLP technology typically delivers higher contrast, better sharpness, superior motion reproduction and more ‘filmlike’ images than is possible with LCD technology. Will your projector stand the test of time? Recent studies reveal that the reliability of a projector is a key criterion for people making purchasing decisions. Independent side-by-side tests indicate that LCD technology deteriorates over time. This is partly because LCD panels and light polarizers absorb energy as ultraviolet light passes through them. Over time – and in conjunction with the fundamentally analog nature of LCD technology – this absorbed energy causes the LCD components to degrade, making the projected picture much less than it once was, like a badly faded photograph. Unlike LCD, DLP technology is an all-digital technology and is reflective rather than transmissive, so the projector does not absorb energy from the ultraviolet light. As a result, DLP technology does not suffer from these degradation problems, and image quality remains constant throughout the lifetime of the projector. Year after year, a projector based on DLP technology will deliver the same crisp, flawless picture as the day you bought it. Regardless of the expected reliability of your projector, you’ll want to be aware of your equipment’s service and support package. Most of today’s portable projectors are plug-and-play, user-friendly and can be put together in a matter of minutes. Even with the challenges of a constantly changing environment, in most cases all you’ll need wherever you go is a power outlet. But be sure to find out about your chosen supplier’s after-sales service. How long is the warranty on the projector? How long is the lamp expected to last – and how much will it cost to replace it? How quickly can the projector be repaired or replaced? How much will installation cost? In some cases, these post-sale expenses can add significant cost to your projector over its lifetime. When all is said and done, there are some basic principles to adhere to when choosing a projector. First, become an informed consumer; the Internet can serve as a useful tool for gathering information and comparison-shopping. Second, be sure to see a live demonstration of any projector before purchasing it, ideally in an environment similar to the one you’ll have for your projector. Finally, there is an old proverb that rings true for projectors, as with most other things in life – you get what you pay for.